Other than the various familiar, widely used fieldbuses and Industrial Ethernet systems on the market, or even the lesser known, but specified communication protocols, there are also individual, customized bus systems designed for “in-house” use only that many automation applications continue to employ. 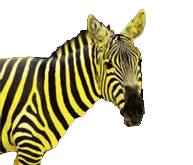 Found in all sorts of industries, unique implementations of this kind are, in many cases, neither standardized nor certified. 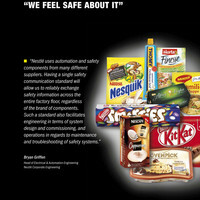 Even for such environments, openSAFETY constitutes a suitable, uncomplicated safety solution. 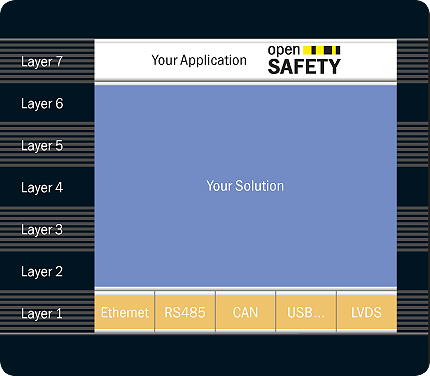 Due to true Black Channel operation, which is a native openSAFETY feature, the data transfer protocol never plays a role. 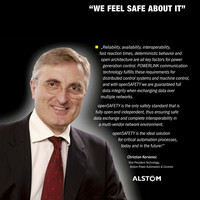 Since openSAFETY verifies the integrity of transferred data at all times, continually monitors the duration of transmissions using special mechanisms, and immediately recognizes any data transfer errors that occur, even single-channel, unsafe transport networks may be used as a basis for communication without compromising safety functionality at all.